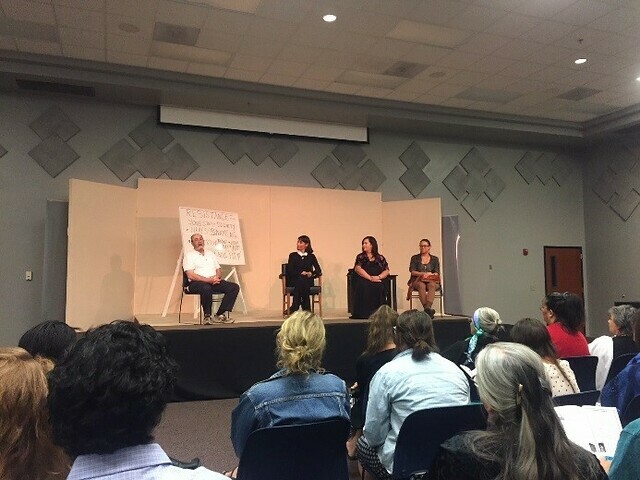 This event consisted of two audience talkbacks focused on the role of media in shaping discourse around specific narratives, as in the death of Digna Ochoa, a Mexican human rights lawyer whose story is the subject of “Digna,” a play by Patricia Davis. Teatro Dignidad is a call for Dignity. Within the spirit of advancing the inalienable and fundamental freedoms of all human beings as declared in the Universal Declaration of Human Rights, the mission of Teatro Dignidad is to produce plays and foster art movements that call for the recognition of the inherent dignity of all human beings.